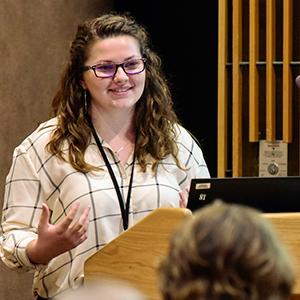 Participants in the 2018 NIEHS Scholars Connect Program present their research at the program’s Spring Symposium. 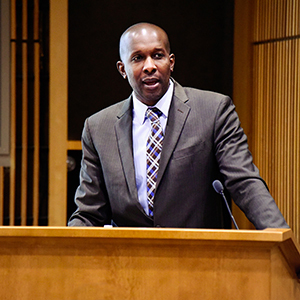 NIEHS Scholars Connect Program (NSCP) completed its sixth year April 20 with the annual Spring Symposium. The NSCP brings undergraduates from universities in the NIEHS area to the institute for a year-long research experience. During the symposium, the scholars present their research to the NIEHS community (see sidebar). Robert Sills, D.V.M., Ph.D., head of the National Toxicology Program (NTP) Cellular and Molecular Pathology Branch, chaired the session. He introduced each of the ten speakers and asked probing questions about their work. This year, for the first time since the program began in 2012, NSCP recruited a full complement of ten young people. 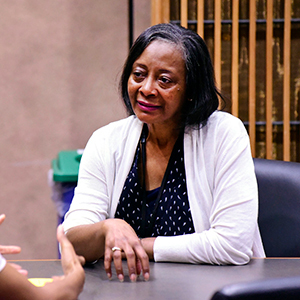 More emphasis on outreach to specific faculty advisors at the local schools by program organizers contributed to a noticeable increase in applications. “When we did exit interviews and asked our scholars how they had heard about the program, most of them said ‘Because my advisor — my research advisor, my faculty advisor, my professor — told me about the program’,” observed Suchandra Bhattacharjee, Ph.D., the NSCP coordinator. NSCP outreach continues to yield results. Ten scholars are already signed up for the 2018-2019 program, which gets underway in June. 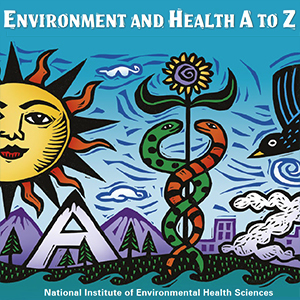 More NIEHS scientists are volunteering to serve as mentors and lead researchers. “We have great support and advocacy from top leadership, so they encourage folks to get involved,” Reid noted. Dhruv Shankar, a senior at the University of North Carolina at Chapel Hill (UNC), was named NSCP Scholar of the Year, the program’s highest honor. “For me, it means that I have the skills to be an effective scientific thinker and researcher, someone who can reason through the process,” he said. This fall, Shankar will begin studies at the Icahn Medical School at Mt. Sinai. After presenting their research, the scholars received certificates documenting their achievement. The students took the opportunity to thank their NIEHS mentors. Simrat Arora, a senior at UNC, expressed gratitude for her mentor, Lalith Perera, Ph.D., director of the NIEHS Computational Chemistry and Molecular Modeling Support Group. “Dr. Perera has been a great mentor, and I have learned a lot from him,” she said. UNC senior Caroline Brock Reed, who worked under Jean Harry, Ph.D., leader of the NTP Neurotoxicology Group, expressed her gratitude for Harry’s guidance. “She taught me a heck of a lot, she challenged me, and she inspired me to be [an impressive] lady scientist!” she exclaimed. UNC senior Simrat Arora presented “Interaction of Cockroach Allergen Blag1 With Phospholipid,” which he researched under the mentorship of Lalith Perera, Ph.D., director of the Computational Chemistry and Molecular Modeling Support Group. Savan Gandhi, a senior at North Carolina State University, presented “Impact of Progesterone Receptor Signaling on the Myometrium During Pregnancy,” which he researched under the mentorship of Steve Wu, Ph.D., of the Pregnancy and Female Reproduction Group. 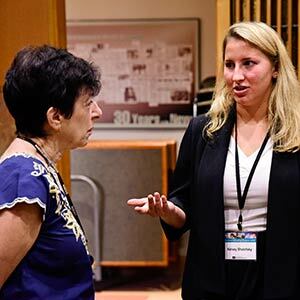 UNC senior Caroline Brock Reed studied “Immune Preconditioning of RAW 264.7 Macrophages by Organotin Compounds,” under the guidance of Jean Harry, Ph.D., head of the NTP Laboratory Neurotoxicology Group. Malika Wood, a senior at Saint Augustine’s University, presented “Targeting Lentiviral Integration Into the Host Chromosome via AAV CRISPR-dCas9 System.” She was mentored by Negin Martin, Ph.D., acting director of the Viral Vector Core Laboratory.